With this project we started by looking at some of Paul Klee's cityscape paintings, with a particular focus those using geometric shapes. 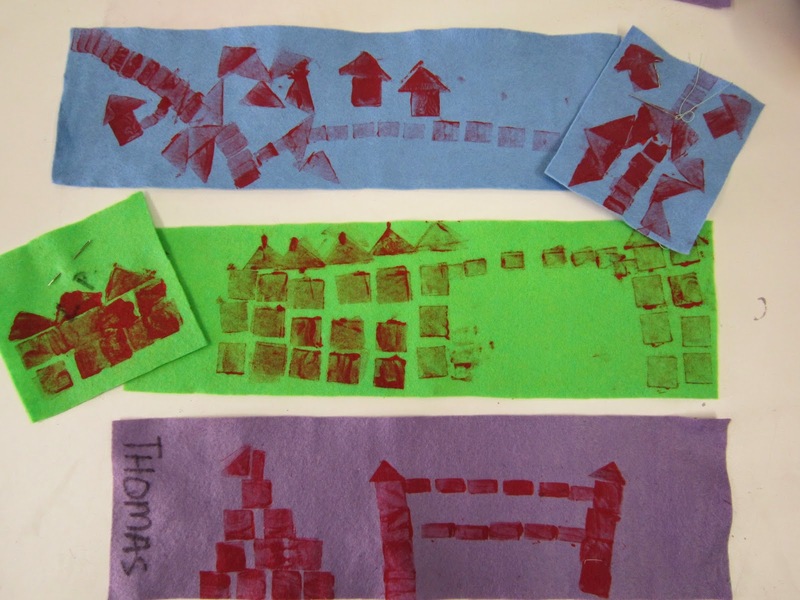 we developed our ideas in our visual diaries and made collage cityscapes using colourful paper. You can see these here if you would like to check back. 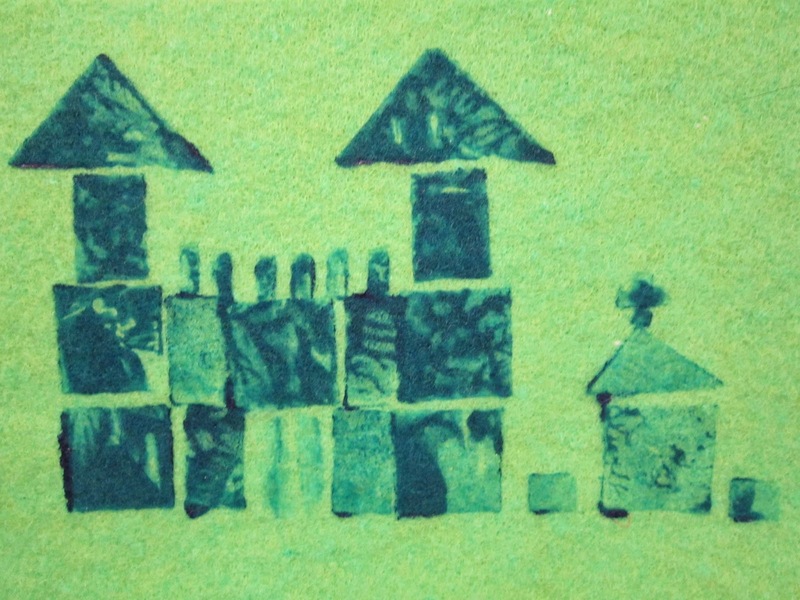 I started by demonstrating to the children how to print with the stamps. 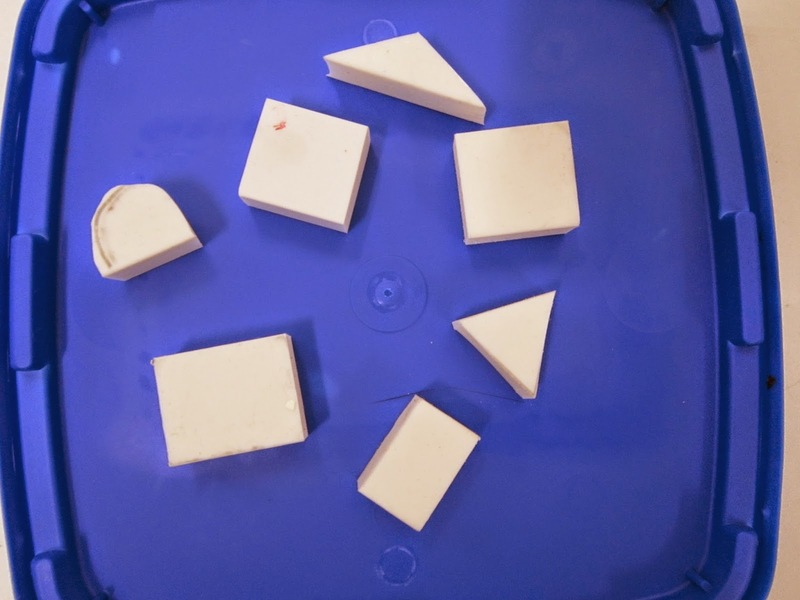 As they had had some practise making buildings using 2D regular maths shapes and had created their collage using regular geometric shapes most of them had a very clear idea of what to do. 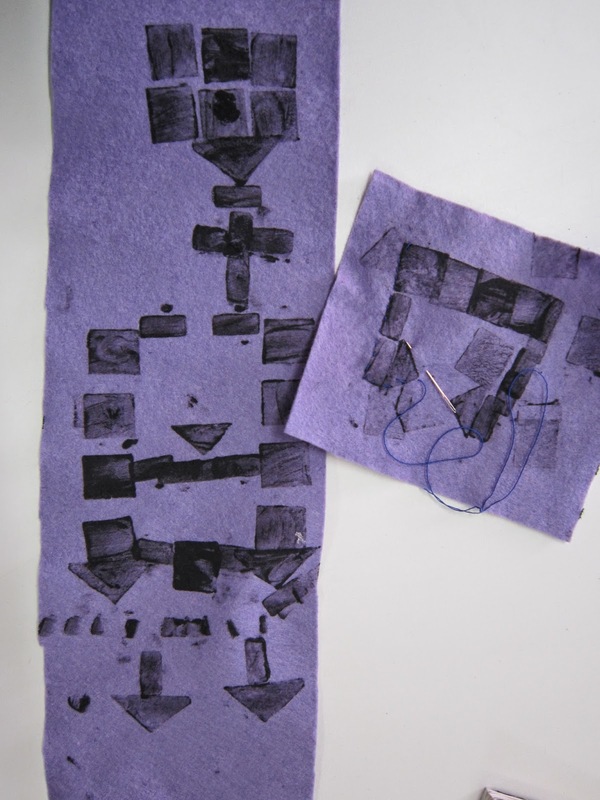 They are now using the short pieces of felt as a sampler to practise stitches on before moving on to embellish their long strip of fabric. The long pieces once decorated will be folded as shown in the photo to become the pencil case to store their art room equipment in. 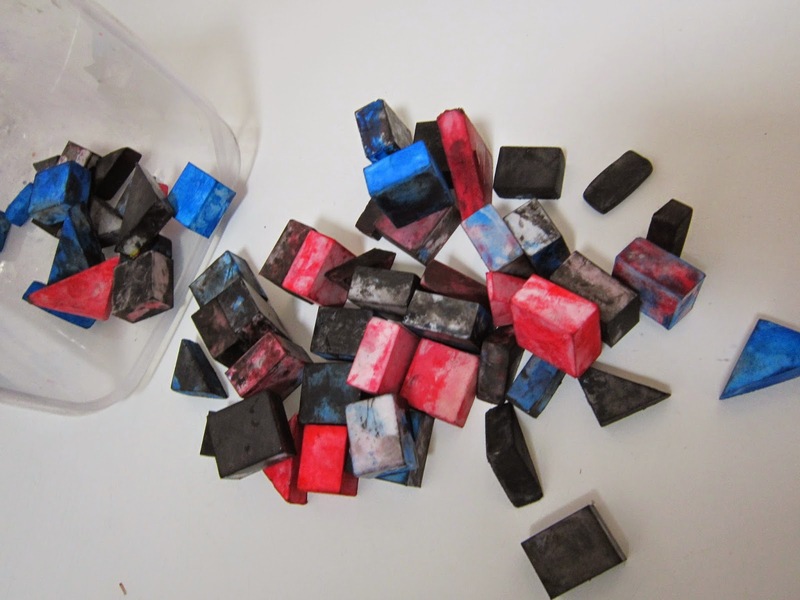 These should easily last them till the end of primary school. *** Here's a tip for anyone trying this at home. 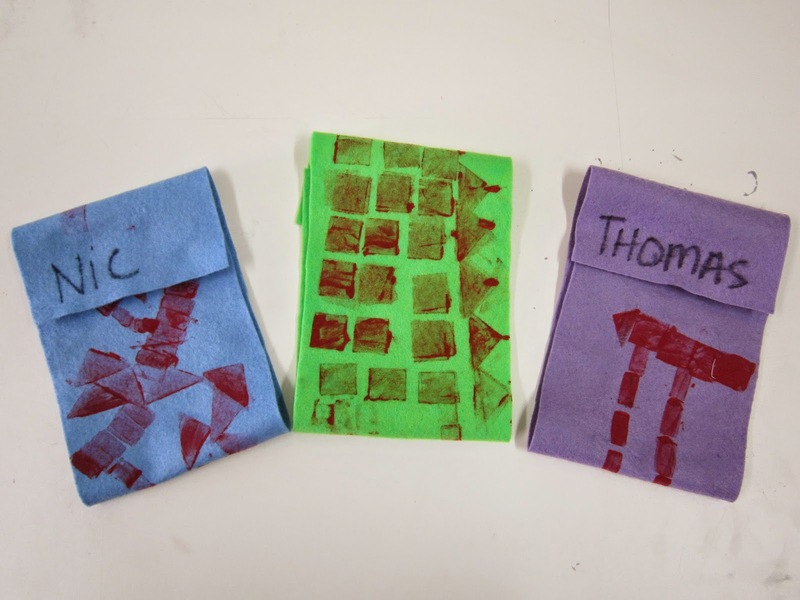 I tried putting the ink under a sponge to make a stamp pad, it did not work very well with the fabric ink and felt. The best way was to give the kids a plate with a spoonful of ink and a paintbrush. They painted the ink onto the 'stamp' and pressed it onto the fabric. This gave a much better result.